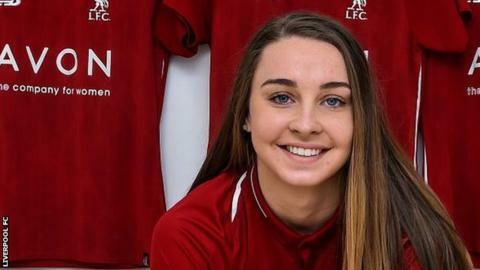 Liverpool forward Niamh Charles has signed a contract extension to keep her with the Women's Super League side. The 19-year-old came through the club's academy and has made 38 appearances since her debut for the Reds in 2016. "I've grown up here, I love this club and I support this club, so I'm delighted to sign again," Charles told the club's official website. "Growing up this was my dream and I'm really proud to have come through the academy." The length of her new deal has not been disclosed.